Most of us choose organic produce for various health reasons: for the higher nutrient content, or so as not to ingest agrochemicals with resultant adverse reactions, or because organically produced crops do not interfere with the biosphere of bees, worms and other beneficial species, or just because they taste much better. However, there is another most important reason to eat an organic diet which has been recently revealed. The substances that plants produce to protect themselves from infestations and pathogens also protect us from the damaging effects of the presence of abnormal cells in our body. Normal healthy cells stop dividing at the end of a natural cell cycle, but cells with defective DNA continue to divide, and bypass the cell’s normal regulation, producing tumours. It has recently been discovered that a particular cytochrome enzyme called CYP1B1 is present in malignant cells and also precancerous cells but not present in normal cell tissue. As part of the body’s natural detoxification system, CYP1B1 is involved in the removal of drugs and toxins. This enzyme has been recognized as a cancer cell marker. The protective factors, mentioned above that plants produce, are in abundance in organically produced crops but are deficient in crops which have been sprayed with pesticides and fungicides. When these protective plant substances, or phytonutrients, are metabolized by CYP1B1, they create compounds that cause apoptosis (cell death) in the cancer cell. These specific phytonutrients target cancer cells leaving the normal cells alone. They are able preventatively to kill off cells which are becoming cancerous, as well as therapeutically killing off cells which are part of active disease. This mechanism appears to significantly reduce cancer cells in the body and improve the outcome for a cancer sufferer. They differ from anti-oxidants in that they also support the removal of damaged cells before they can accumulate and make us sick. Modern farming methods have limited the availability of these specific phytonutrients in the modern diet. These phytonutrients are not produced in the plant in abundance until the plant comes under attack from predators or infestation. They have however been isolated and now available as supplements after 20 years of research. 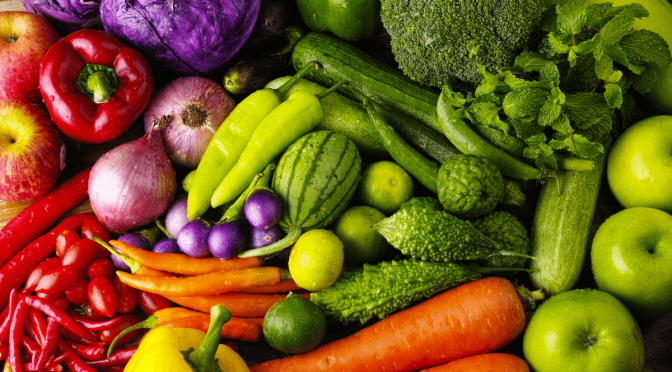 It is estimated that today’s diet consists of 10% to 20% the protective phytonutrients which would have occurred naturally in the diet 100 years ago. Around that time, mechanized farming was introduced to harvest large amounts of single crops. In order to protect the crop from insect, fungal or weed infestation, pesticides, fungicides and herbicides were used. These introduced methods depleted the crops of these vital phytonutrients which are the plants’ natural defence against pathogens. This is because the plants don’t have a stimulus to produce these substances and consequently they don’t end up in our food. Organically grown food however has a high level of these phytonutrients, around 30 times higher than in those farmed under modern methods. It is the bitter components of plants that contain the highest levels of these beneficial phytonutrients, and they are most prevalent in the skin, pith and roots. These are the very parts of the plant that are removed and discarded during processing. Unless the whole vegetable or fruit is juiced, most of the bitter components are left out. The debittering of fruit juices removes these vital substances. Our modern preferences for sweeter tasting foods has led to the cultivation and selection of plants with a sweeter flavour. The sweeter tasting plants are even regarded as superior to those with a bitter flavour, even though they contain fewer phytonutrients. These plants do not have such a well-developed natural defence system and so are more vulnerable to infestation by predators and pathogens. Even organically grown crops may have their phytonutrient content compromised if they are green-harvested and not allowed to ripen naturally. This is because during the ripening process, the plant is most at risk from pathogenic attack and needs to protect itself by producing large quantities of these phytonutrients. Bitter foods such as endive, chicory, artichoke, dandelion, brassicas, olives, turnips, asparagus, citrus rind, radicchio and berries are most beneficial. The best form of cooking is steaming, baking or stir frying, not boiling which leaches out the phytonutrients. The healthiest way to eat is to harness the benefits of nature by eating organic produce.